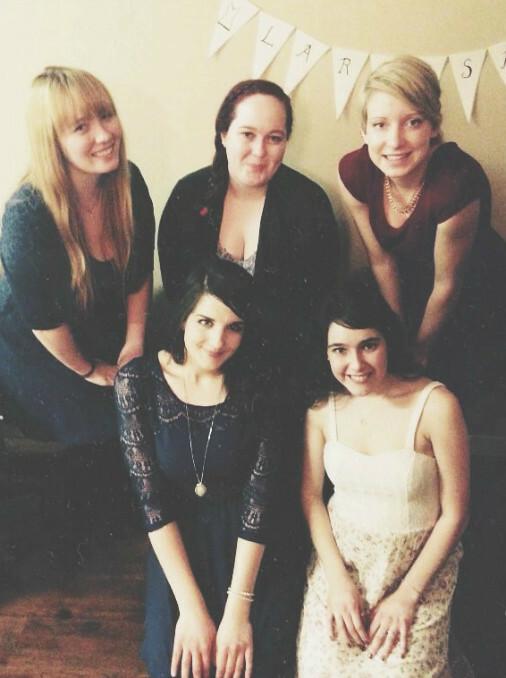 One of my best friends from North Bay is getting married this summer and we're all so excited for her! 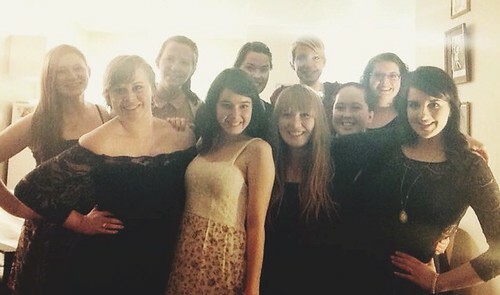 Last night, Larissa's maid of honour threw her a lingerie bridal party. The group involved our group of friends from school and a bunch of her old roommates. Larissa used to live in a house of 9 girls with SARAH, so Larissa and I knew of each other before this year through Sarah, and that's how we actually first connected in class! 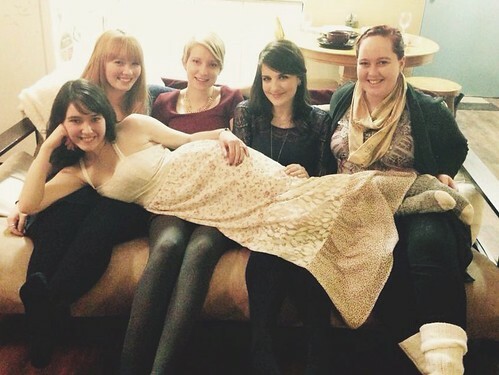 Sarah was also there, and the party was at Sarah's house, because her roommate is the maid of honour! Simply craziness, so many connections. The party was such a blast. There were delicious snacks and lots of wine, which is always a great time in my books. We all bought lingerie for Larissa, and surprisingly everyone actually kept the gifts very classy!! I was SO jealous of Larissa's newly acquired collection, and decided I HAVE to do this for my wedding (in 8 or so years lulz). She got so many pretty new bras, underwear, baby dolls, and even a pretty robe! SWOON. I love pretty undergarments. I was dying. 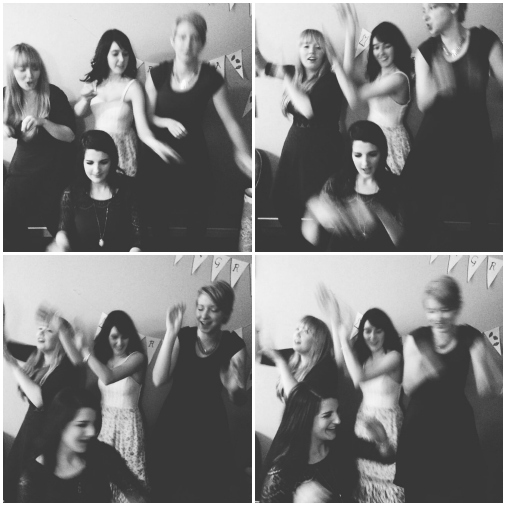 It was also a generally hilarious event, and we were being a silly group of gabby girls. We ended the night with a hilarious dance party. Definitely showcased our best moves.